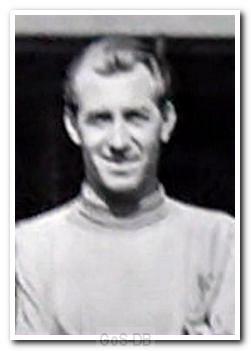 Brown began his career as a teenager with Queens Park Rangers in 1942, but only appeared in war-time football before moving to Notts County in 1946. During his time with QPR he played as a guest for Arsenal in a friendly against Dinamo Moscow in November 1945, a game which also saw Stanley Matthews and Stan Mortensen turn out for the Gunners. The Arsenal 'keeper was injured during the first-half, and with no substitute available, any goalkeepers in the ground were asked to make their way to the home dressing-room, Brown arriving just before Sam Bartram of Charlton. 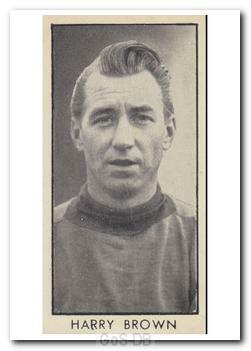 After three seasons at Meadow Lane he moved on to Derby County, before returning to QPR in 1951. Brown became the first choice goalkeeper at Loftus Road for the next five years before joining Argyle following the retirement of both Bill Shortt and Les Major. He did a fine job at Home Park for two seasons and after leaving had a short spell with Exeter City, but did not make any first team appearances.